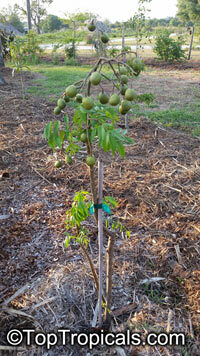 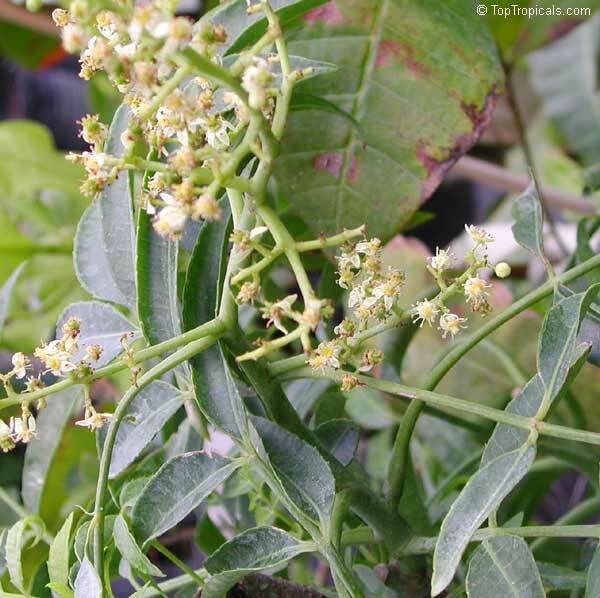 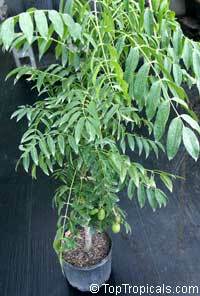 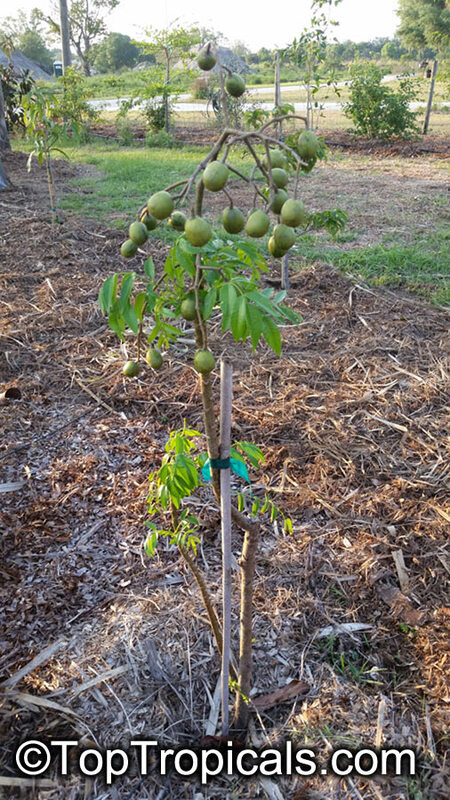 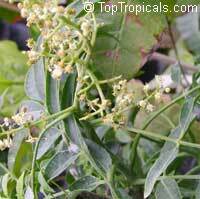 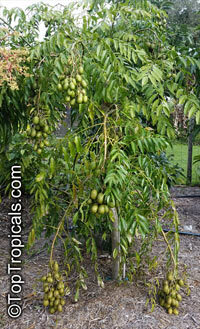 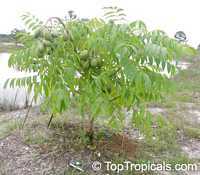 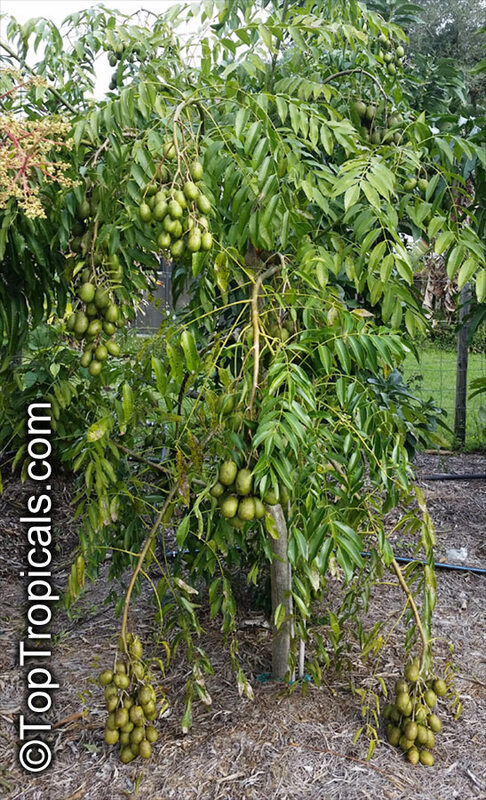 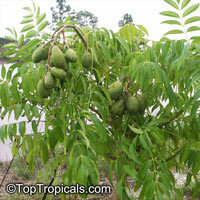 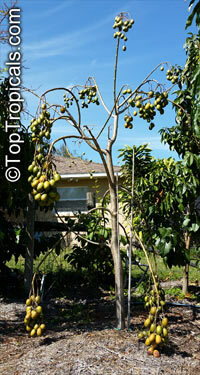 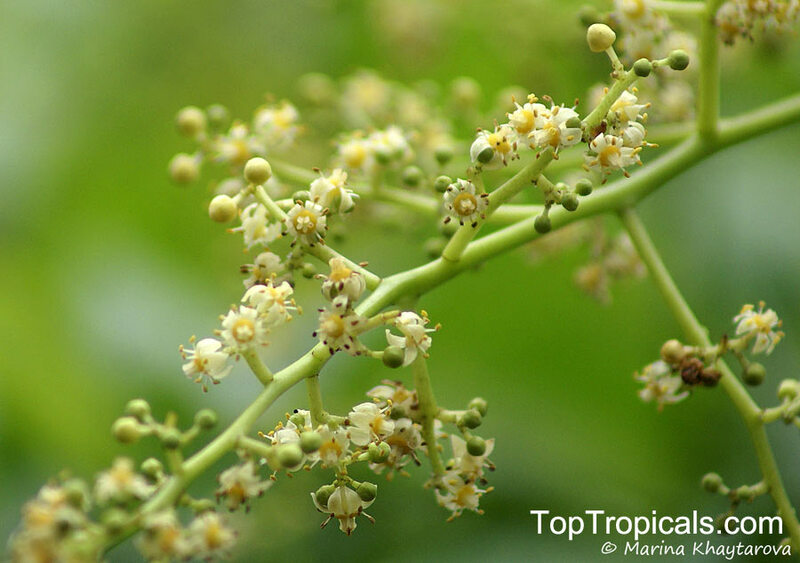 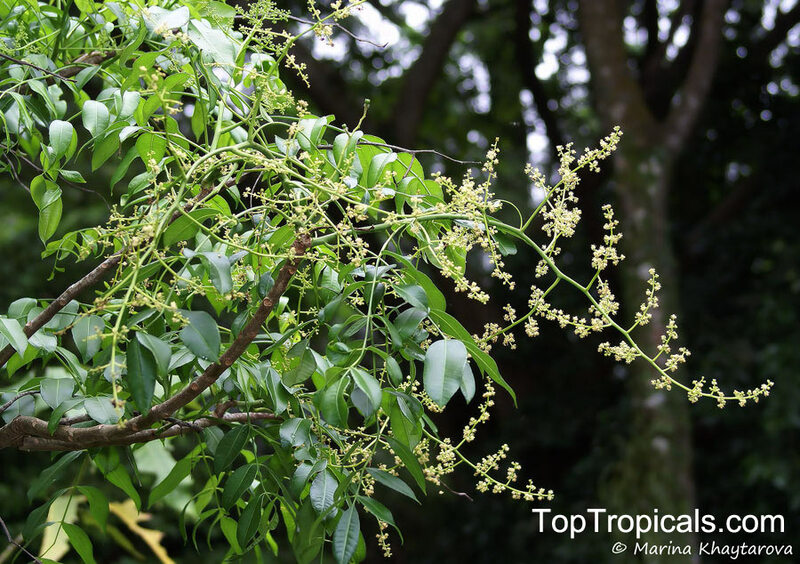 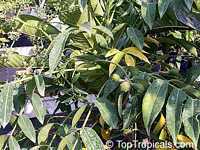 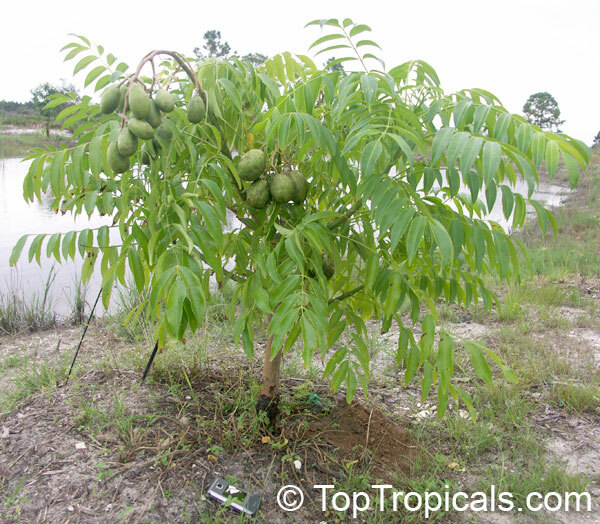 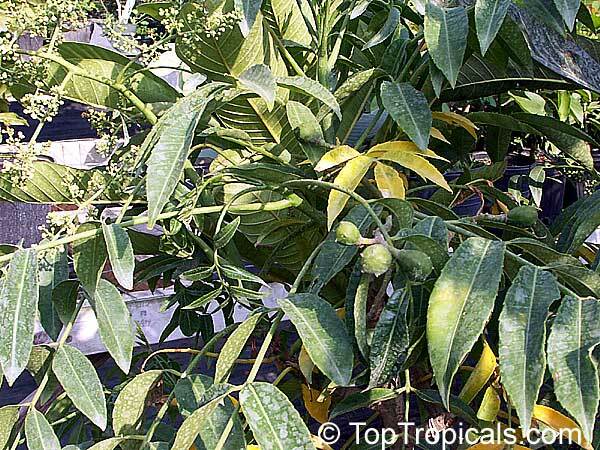 This exciting fruit tree plant will amaze you with its ability to flower and fruit at a young age. 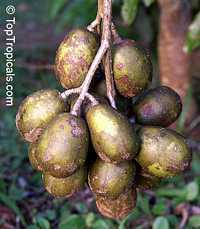 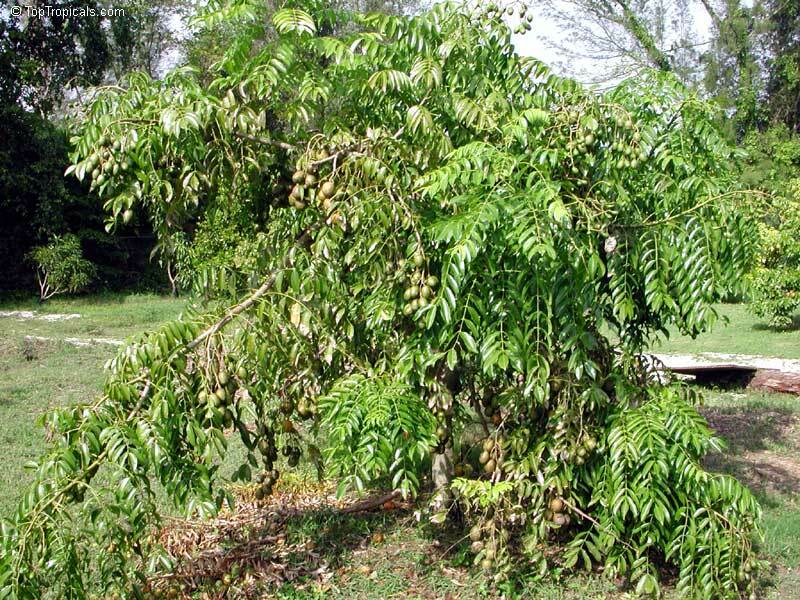 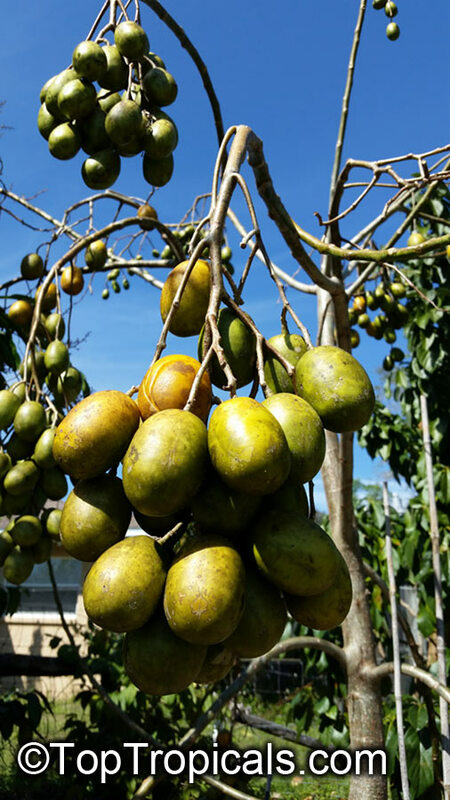 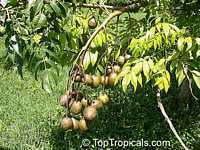 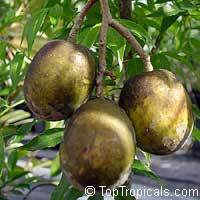 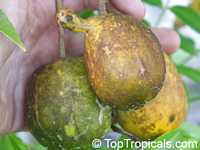 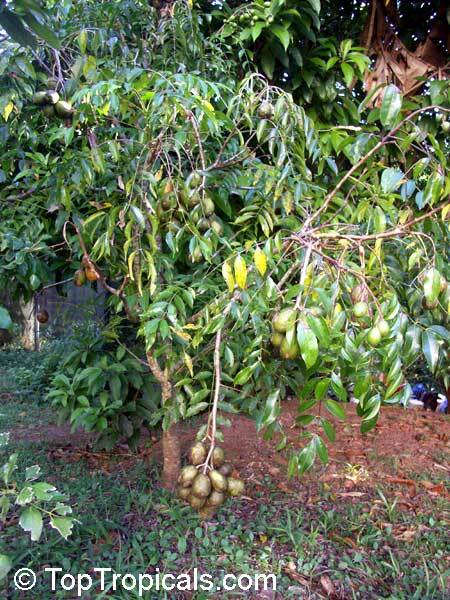 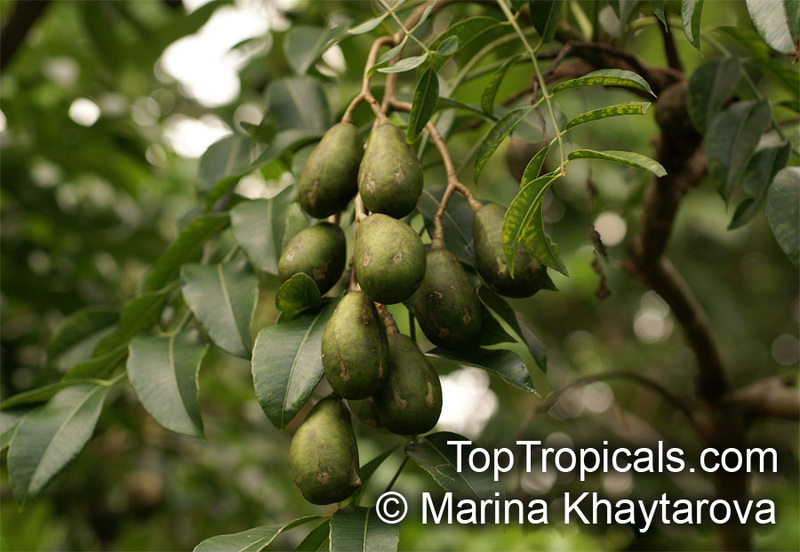 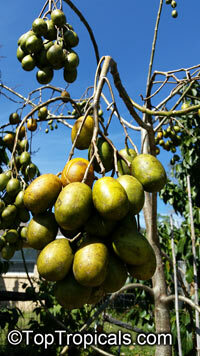 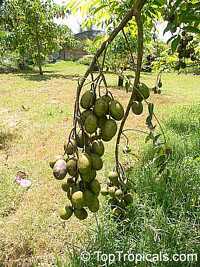 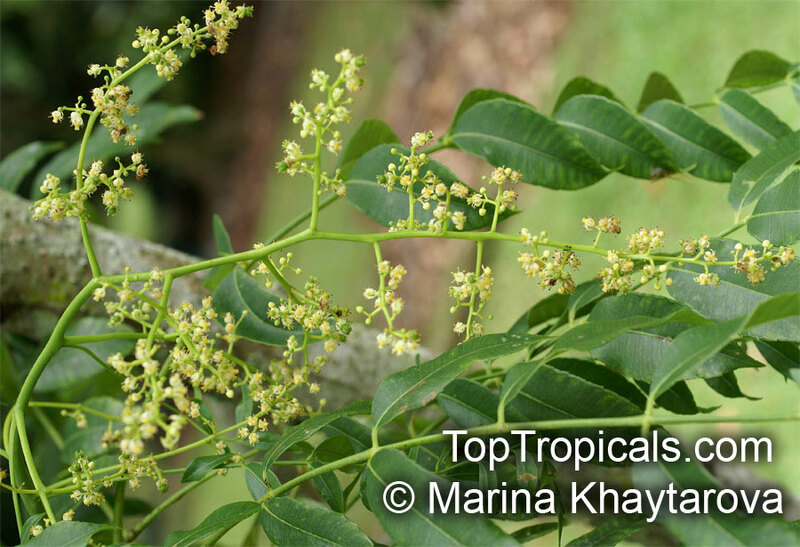 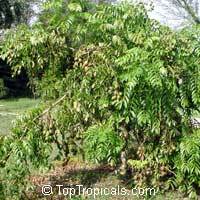 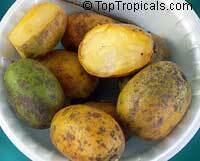 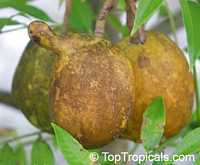 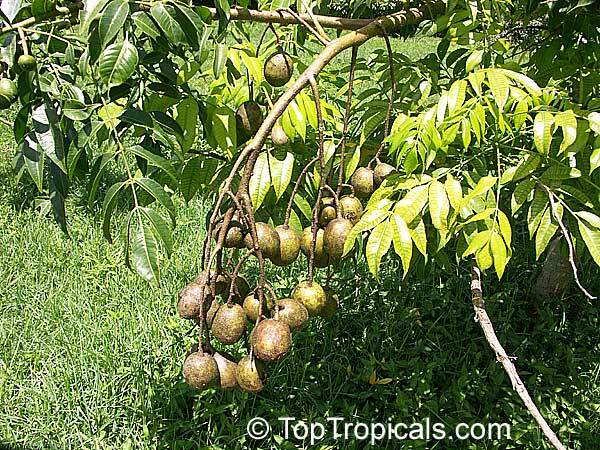 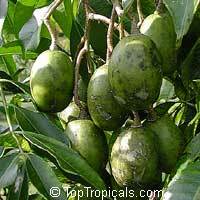 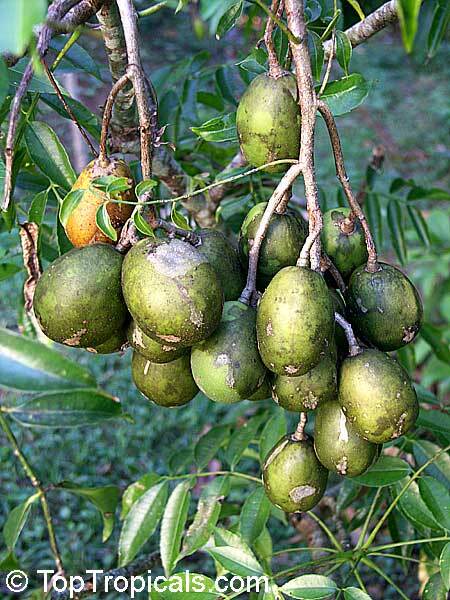 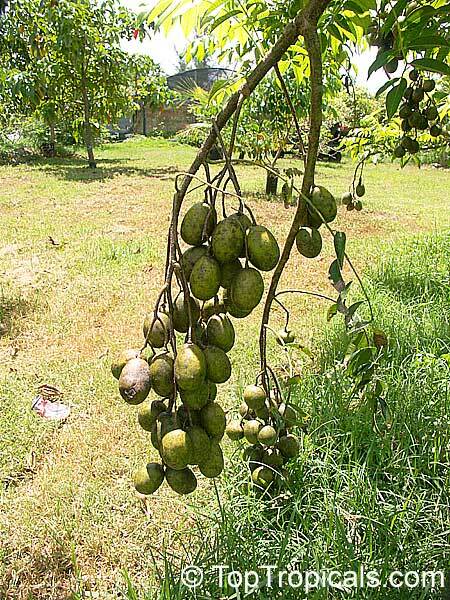 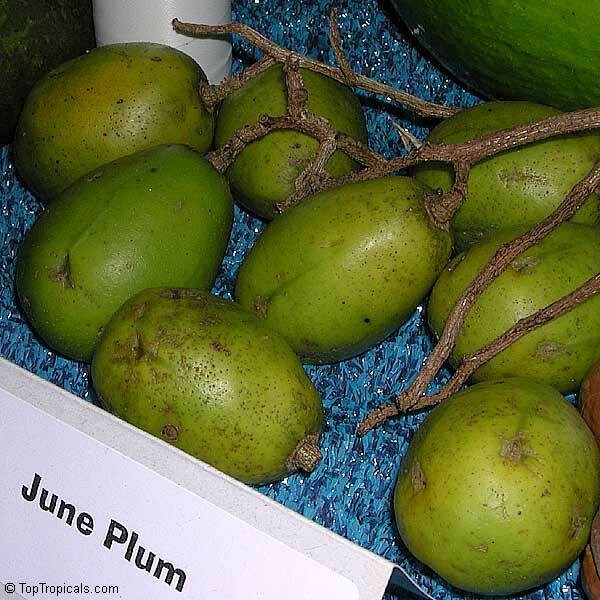 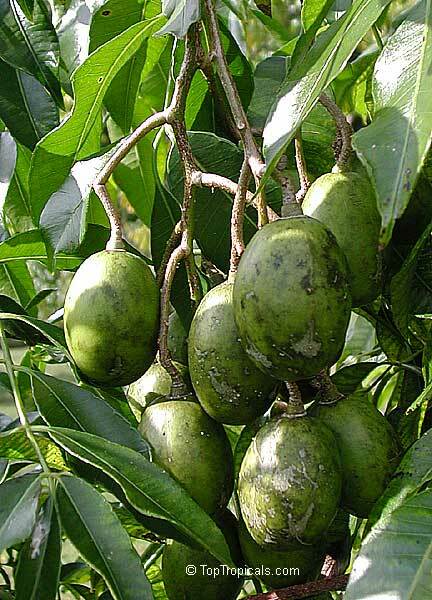 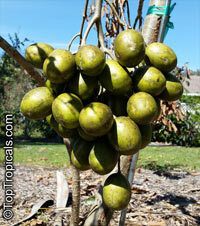 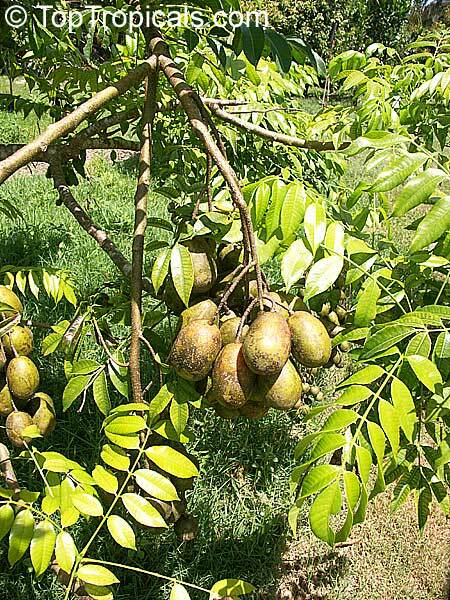 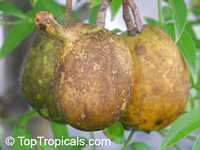 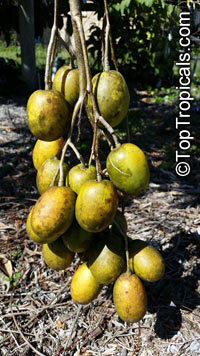 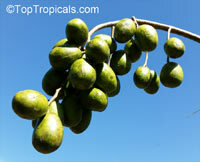 It fruits in winter and holds the fruit up to 6-8 months, long after the leaves have dropped. 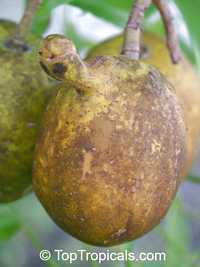 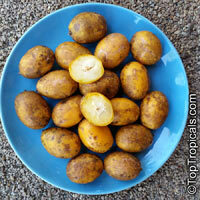 The fruit appears in pairs and will turn a brushed-golden color as it ripens. 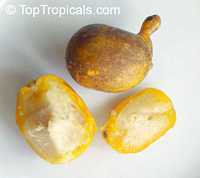 Its feel and juiciness resembles that of a mango but with completely different flavor. 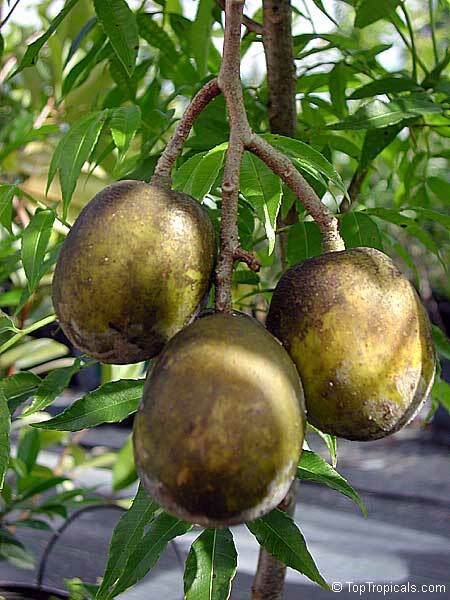 The Golden apple is used both in sweet and savory dishes depending on its ripeness. 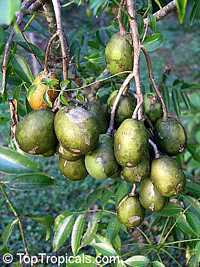 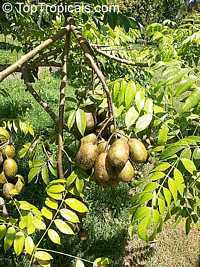 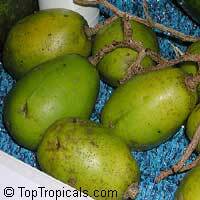 When green, the fruit is commonly eaten as is (with or without skin just like green mangoes) with salt and other salty/spicy dips, made into salsas, chutneys, and into juices and smoothies. 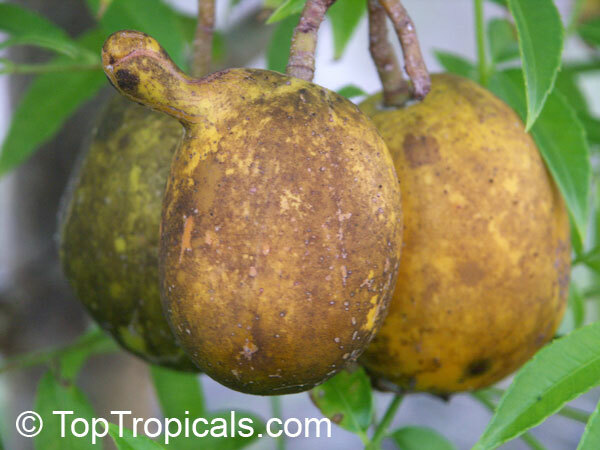 When fully ripe, the Golden Apple will be deep yellowish-orange in color. When yellow, the fruit is eaten just like an apple or stewed with sugar to make an applesauce-like dessert. 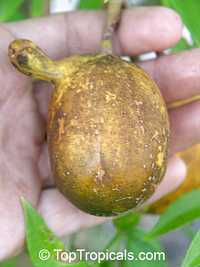 The fruit has a single sharp, rather large, spiny seed. Young leaves can be used in salad.